Upscale steakhouse featuring contemporary, stylish decor, plus a bar & a sizable wine selection. The menu at Meat Market will be a dynamic offering of different cuts of meats, fresh seasonal seafood and chicken available for different price ranges directed to the local market as well as tourists. 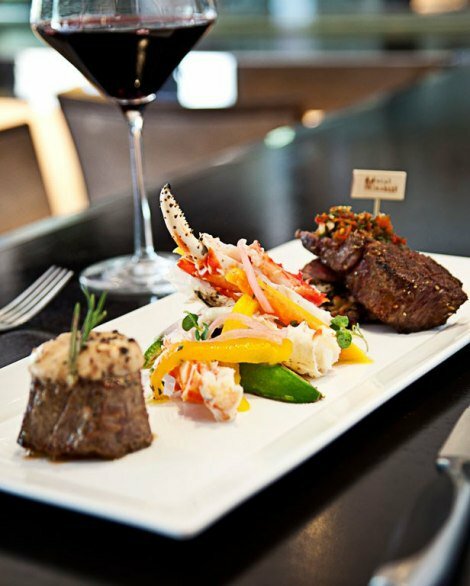 Meat Market provides quality cuts of meats, spectacular and tasty side dishes and a variety of award-winning wine list recognized by Wine Spectator magazine—all prepared with an artistic twist.